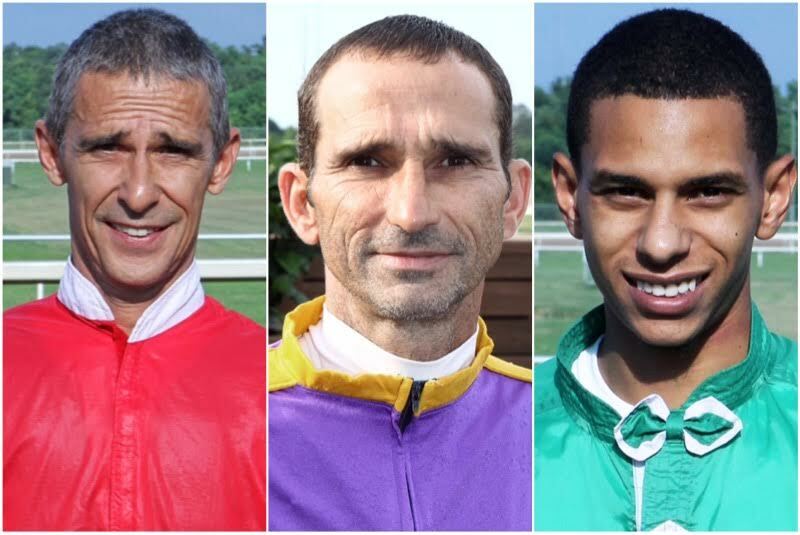 Following an extensive investigation by the Louisiana State Police Gaming Enforcement Division, three Louisiana horse jockeys have been arrested and charged for their roles in an alleged race fixing scheme. As a result of the investigation, Troopers arrested 46 year old Joseph Patin Jr. of Opelousas, 51 year old Billy Patin of Opelousas, and 24 year old LeSean Conyers of Lafayette on charges of Willful Pulling of the Reins and Cheating and Swindling. The arrests stem from an investigation into a complaint received from the Louisiana Racing Commission alleging that during a race at the Evangeline Downs Race Track and Casino on June 19th, 2015, the three suspects engaged in questionable riding tactics that affected the outcome of the race. Through interviews and evidence obtained from track officials, Troopers determined the jockeys willfully schemed to hold back a horse picked as a favorite to win while utilizing an agent to place unusual bets in an attempt to maximize winnings. Additionally, both Joseph Patin, Jr. and Billy Patin were arrested on warrants for the Unnatural Stimulation of Horses (possession of electronic shocking device). Evidence in two separate races on July 4, 2015 revealed that the jockeys possessed hand held shocking devices while competing in races at the Evangeline Downs Race Track and Casino. Click here for an earlier report on the investigation and the previous history of Billy and Joseph Patin Jr. Here is a head-on replay of the race in question (Race 7, 6-19-15). The colored arrows correspond to the horses' numbers: #2 (white) Powder Road, Joseph Patin Jr., #3 (blue) Georgia's Genie, LeSean Conyers, #4 (yellow) Ben's Juliette, Billy Patin. An incident involving Conyers and his whip is highlighted in the stretch run. This entry was posted in The Biz, Videos and tagged billy patin, evangeline downs, Horse Racing, joe patin jr, LeSean Conyers, louisiana jockeys, louisiana race fixing scheme, Louisiana racing, thoroughbred by Press Release. Bookmark the permalink.